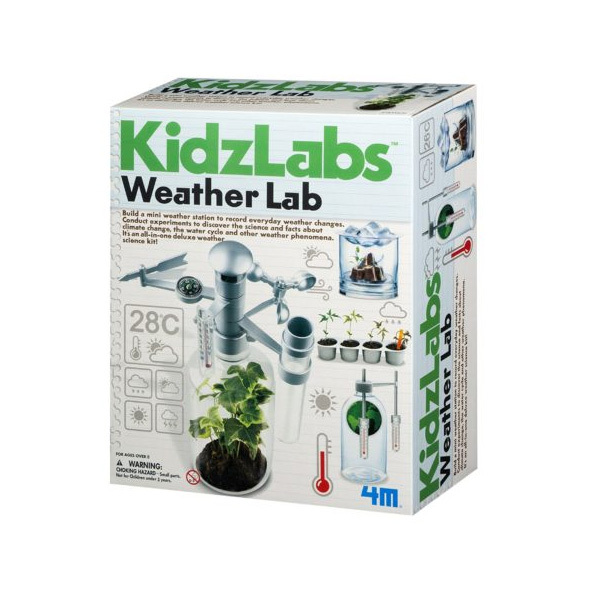 Young meteorologists will love setting up and monitoring their very own weather station (with a variety of weather-measuring equipment) that allows them to record everyday weather changes, record and measure wind, rainfall, and temperature outside. The 14-page instruction/inspiration kit includes fascinating weather facts plus five additional experiments kids can perform to learn about lightning, the weather water cycle, acid rain, the greenhouse effect and global warming, and wind plus daily weather records for kids to fill out to create a weather journal. Build a mini weather station to record everyday weather changes. Conduct experiments to discover the science and facts about climate change, the water cycle and other weather phenomena. It’s all in one deluxe weather science kit! Build an educational science kit. Learn about everyday weather changes. Conduct experiments to discover the science and facts about climate change, the water cycle and other weather phenomena. With a variety of weather measuring equipment, record and measure wind, rainfall, and temperature outside. 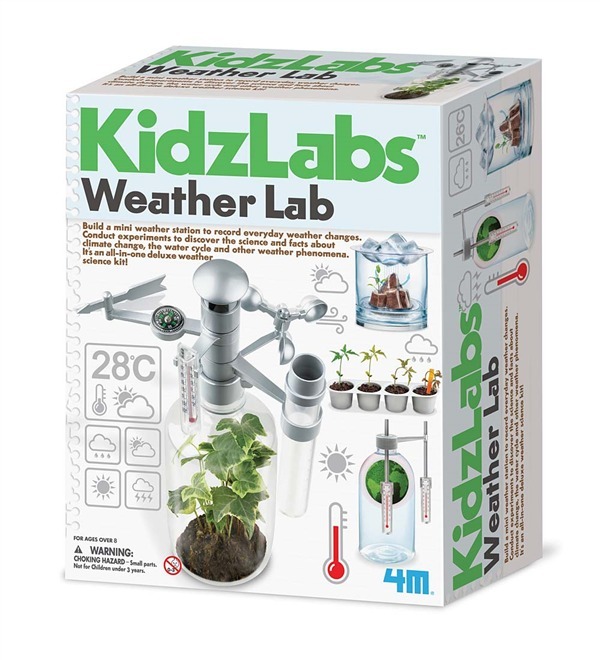 In addition to the weather, learn about topics like acid rain, the greenhouse effect, and the water cycle with these experiments. 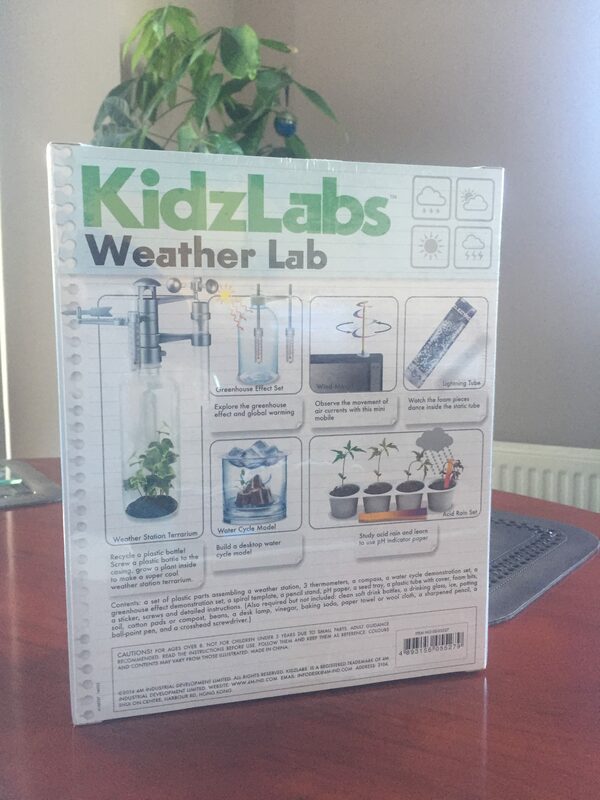 This set includes a weather journal to get started and is recommended for ages 8-15.